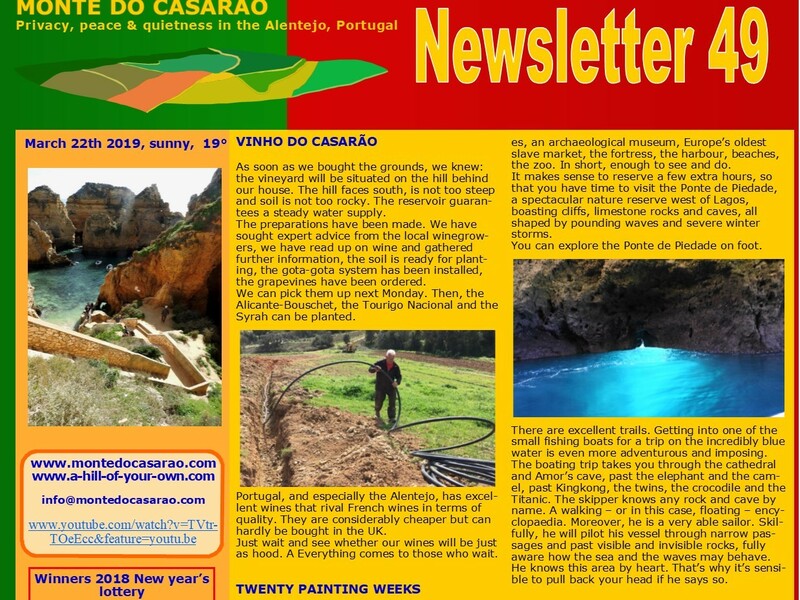 Monte do Casarão generates its own power. Its design focussed on the necessity of all appliances in and around the houses, such as dish washers, washing machines, ovens, toasters and pumps, being able to function simultaneously; we didn’t want any limitations. This meant that the maximum peak demand in that case would be 32 kWs. 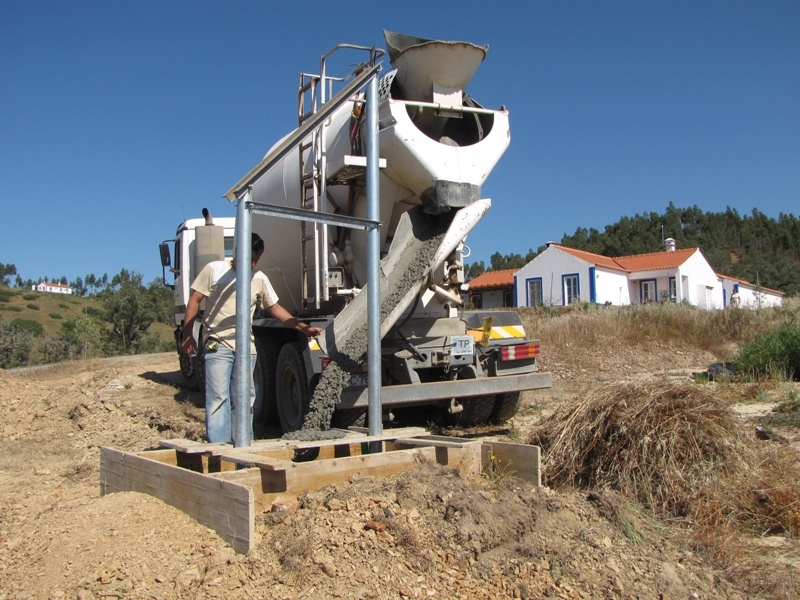 The heart of the entire electrical supply consists of four Phoenix Multiplus 48/3000/35 appliances supplied by Victron Energy from Almere in the Netherlands, installed and delivered by Revez-Solar from Beja. 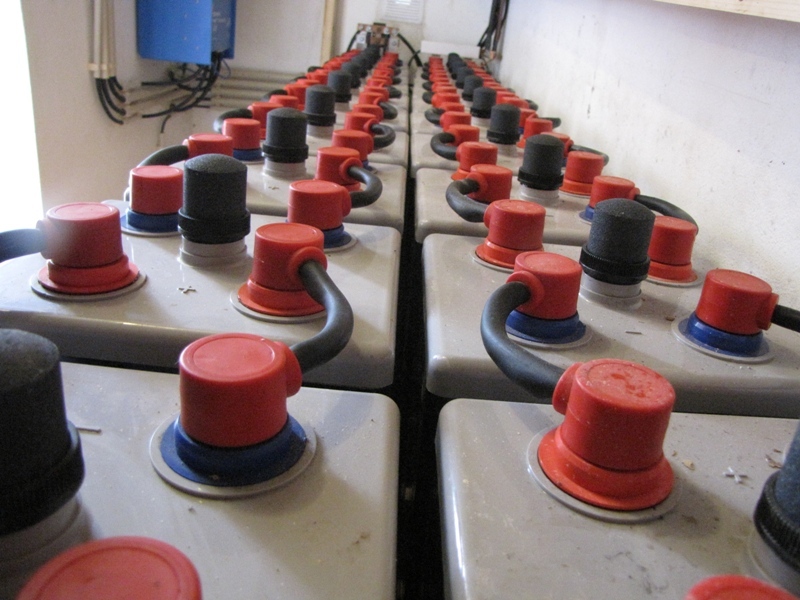 These computer controlled devices serve as inverters (inverting the 48 volts from the battery, viz. 24 2V lots into 230 volts), chargers (charging the batteries) and system controllers. 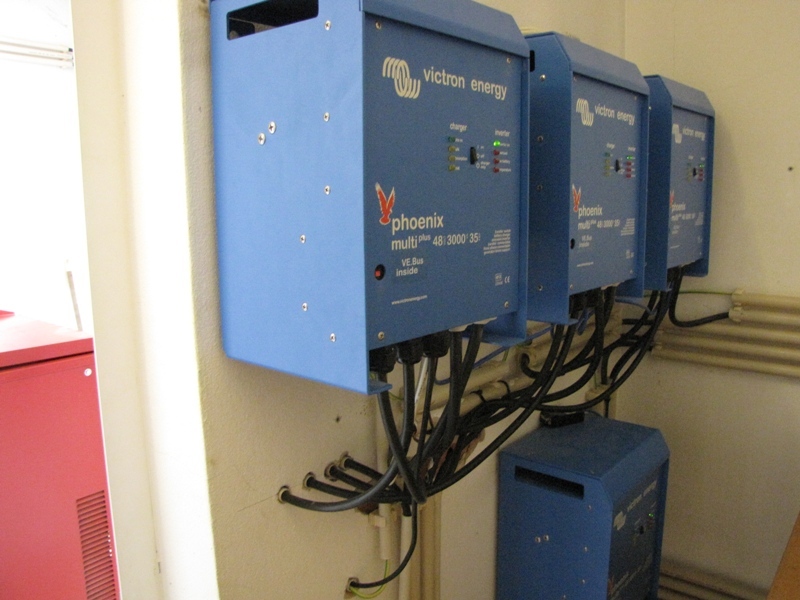 The Victron computer ensures that the diesel generator will start when the batteries run low, or when demand exceeds 7.5 kW. 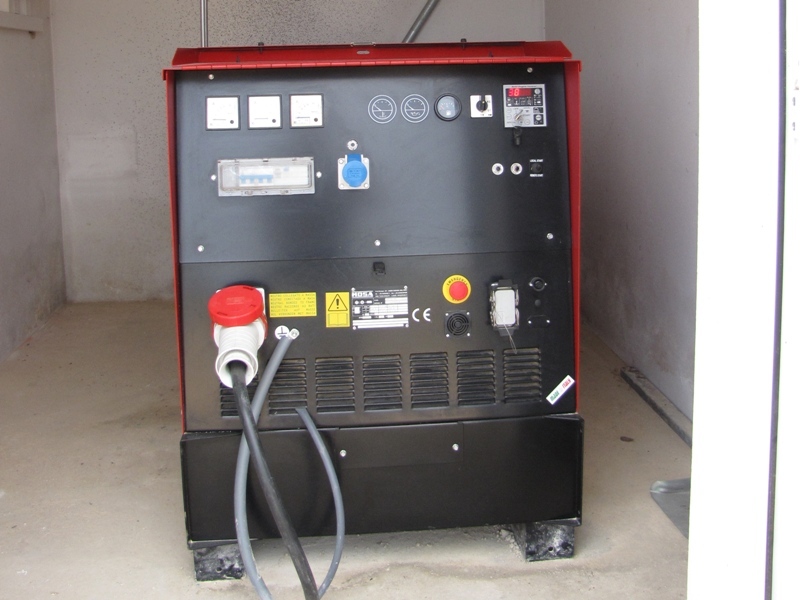 The diesel generator then takes over the power supply while charging the batteries. 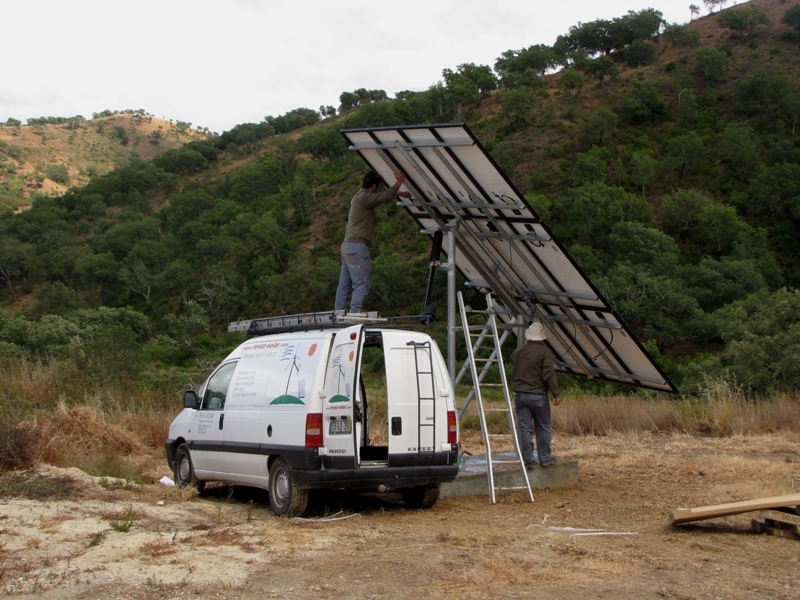 Since June 2009, the batteries are also charged by 36 solar panels, each with a 1.3 kW output. Thus, the number of operating hours for the diesel generator has decreased considerably. Whereas the generator used to be operational five hours a day, it is now on for less than one hour a day. 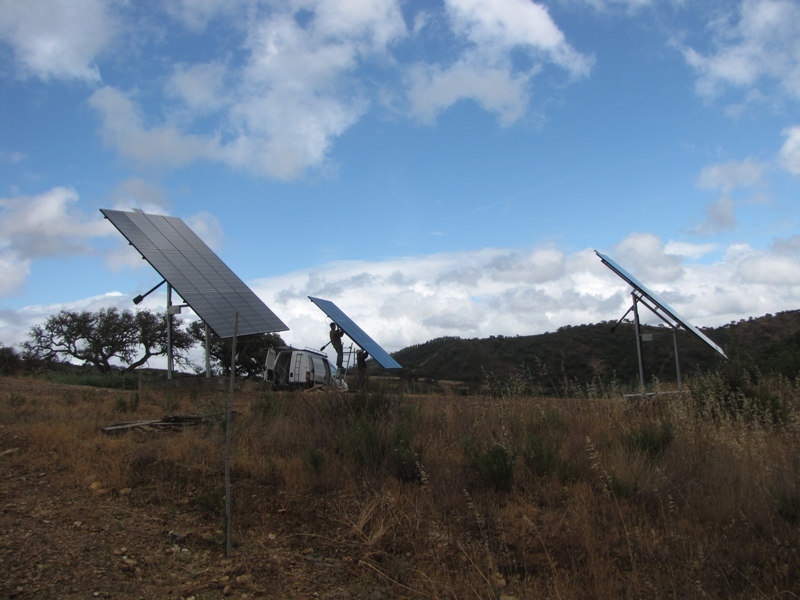 The Minístério da Agricultara/F.E.O.G.A (EU) subsidized our solar power investment. In the unlikely event of this ultramodern system breaking down at some point, it’s not the end of the world. The diesel generator will also switch on when we turn the lever.